When we didn't make it to Giverny while I was in Europe, I figured the next best thing would be to go to the Monet's Garden exhibit at the New York Botanical Garden. 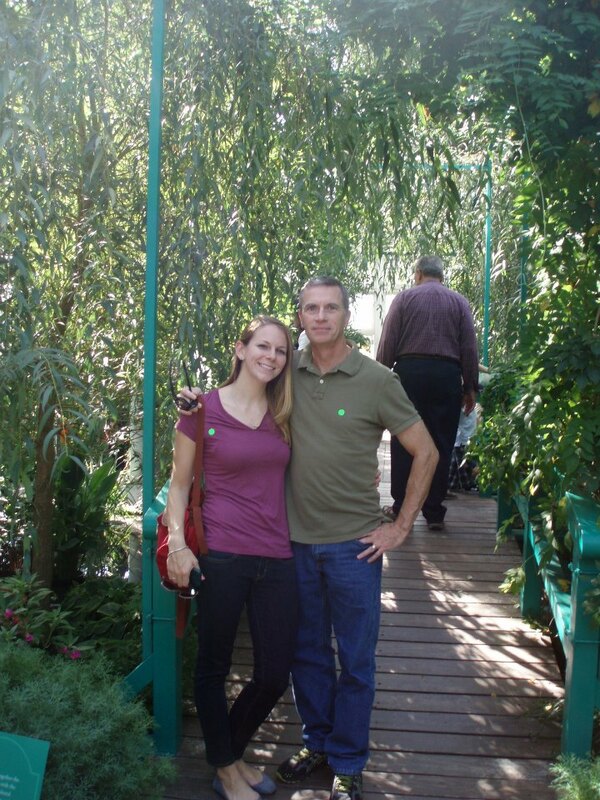 As mentioned in my October wrap-up, my parents and I went to NYBG the Saturday after I returned from Amsterdam. 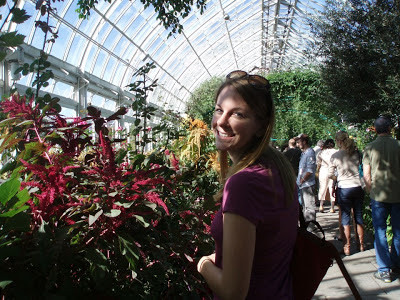 You may recall that Aubrey and I went to the NYBG in December last year and although it was a wonderful day, there were not that many flowers around, so I was curious to see what it would be like in the early fall. I admire Monet for many reasons. His art (I attempted my own version of his famous waterlily paintings earlier this year); his botany skills (I have two plants, a philodendron named Phil who I’ve been struggling with for a few years, and a new guy at my desk at work, a bamboo plant named Boo; and his sweet beard. The Monet exhibit at NYBG was fantastic. I'm sure that it helped that we went on the most gorgeous day of the fall. The exhibit was a reproduction of Monet's gardens, waterlily pond, and even the famous Japanese bridge, prominent in so many of his paintings. They also had two of his paintings ("The Artists Garden in Giverny" and "Irises") and (get this, Monet nerds) one of his actual palettes of paint on display in the library, which I was unfortunately not able to sneak pictures of, but I certainly enjoyed looking at it and picturing him using it.